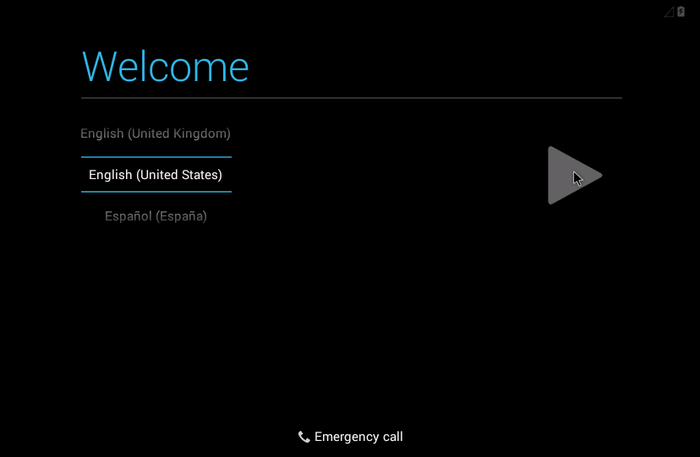 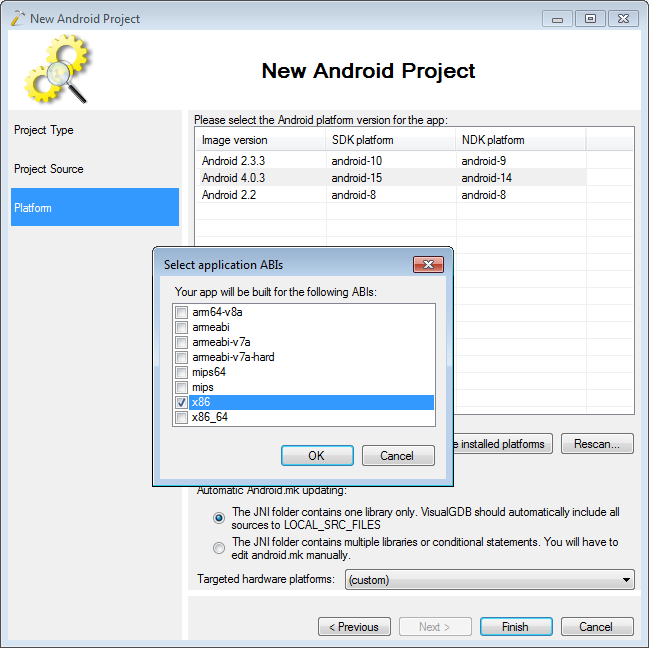 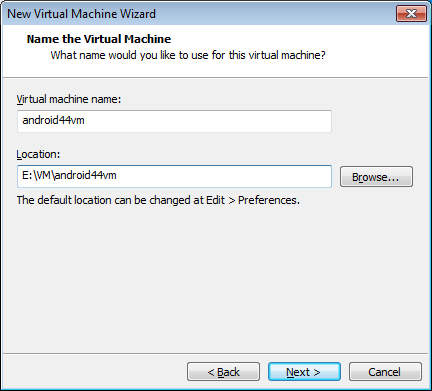 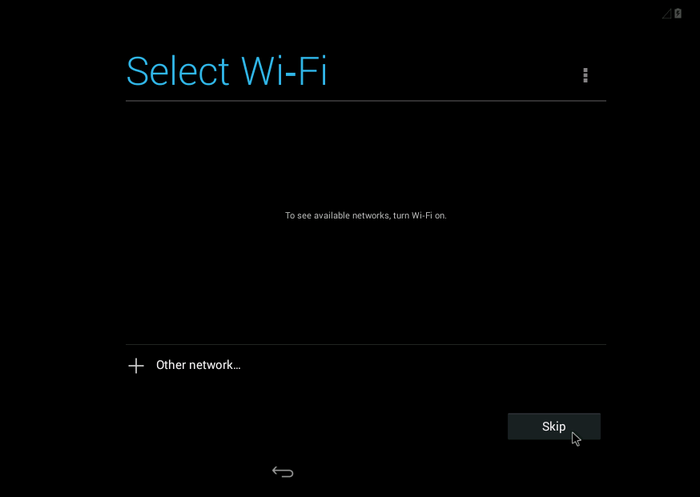 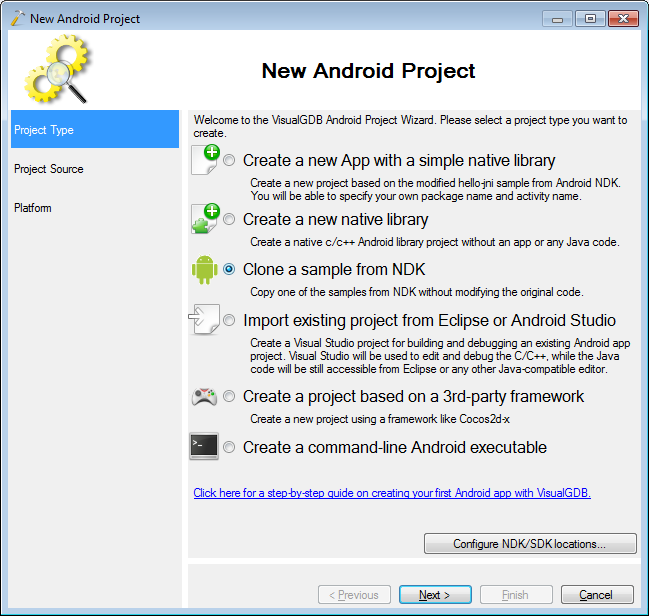 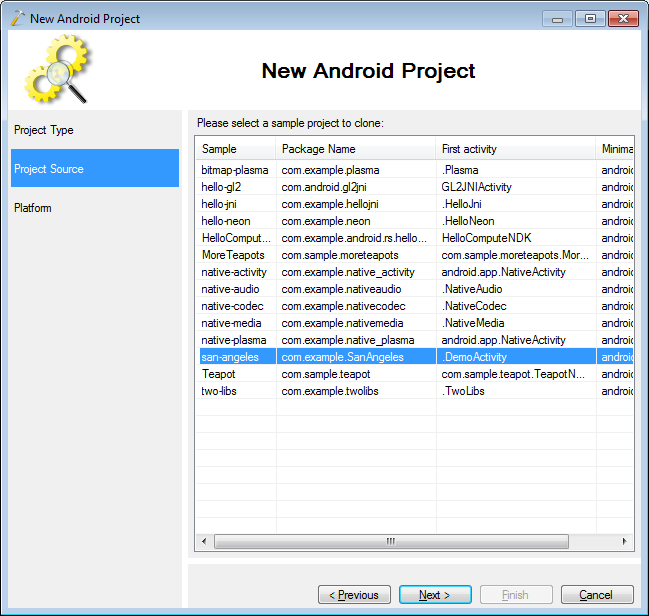 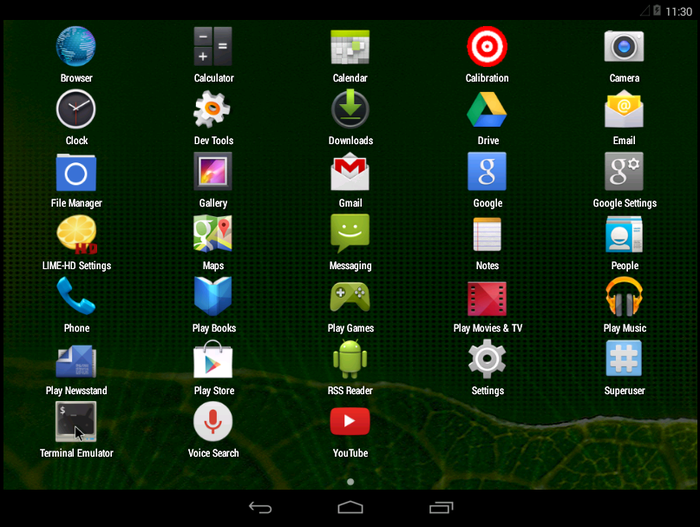 This tutorial shows how to accelerate the Android App development using virtual devices by replacing the slow Android emulator with faster VMWare. 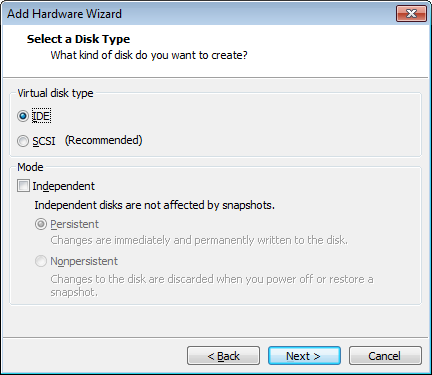 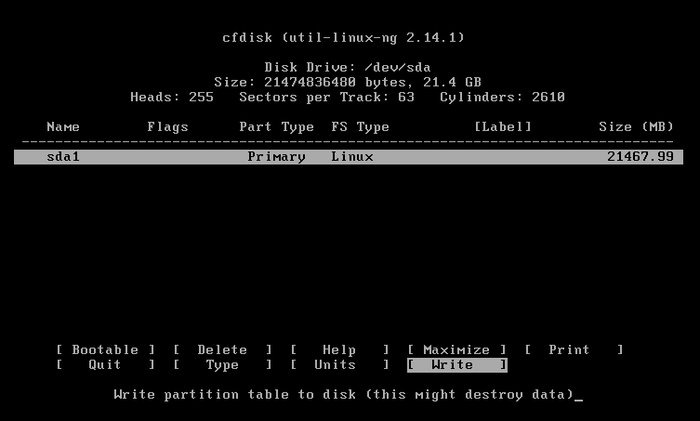 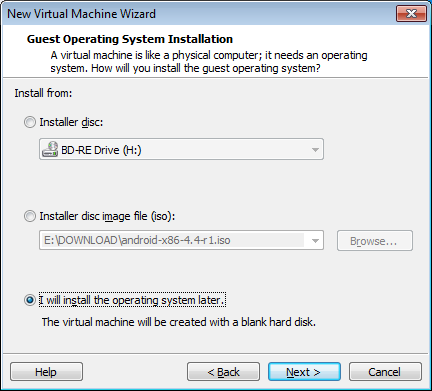 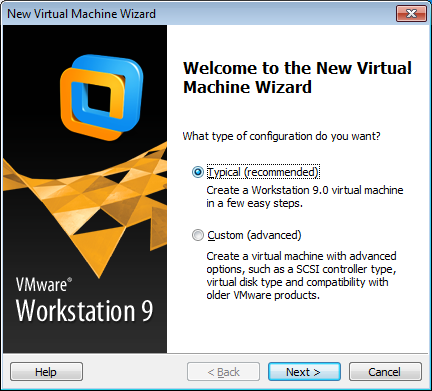 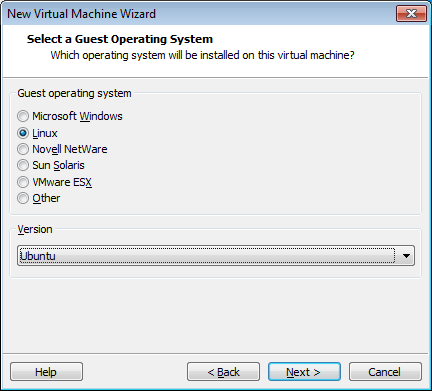 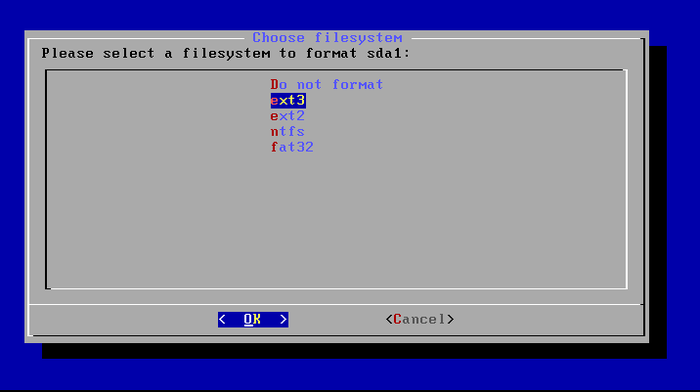 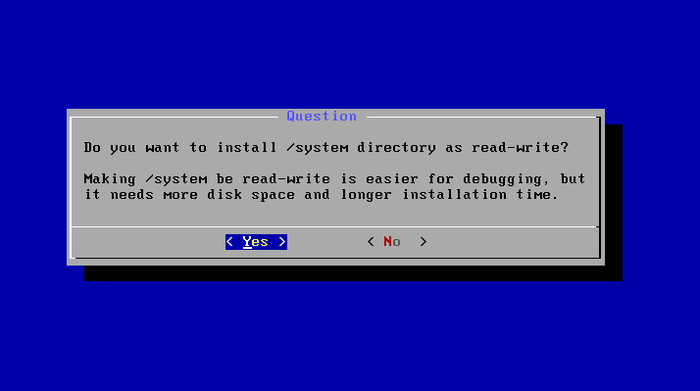 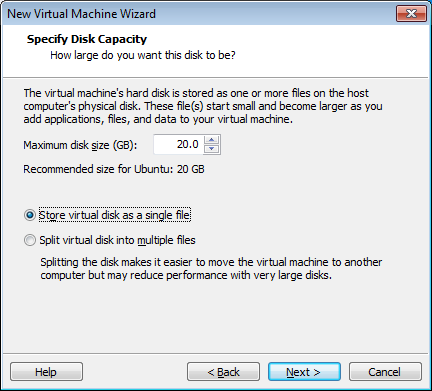 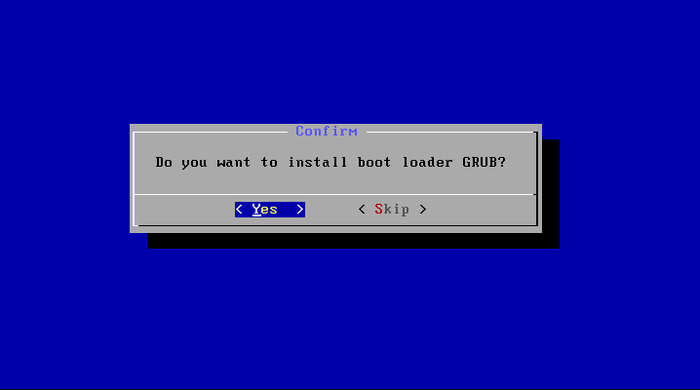 Most of the techniques described here will also work with other virtualization software like VirtualBox. 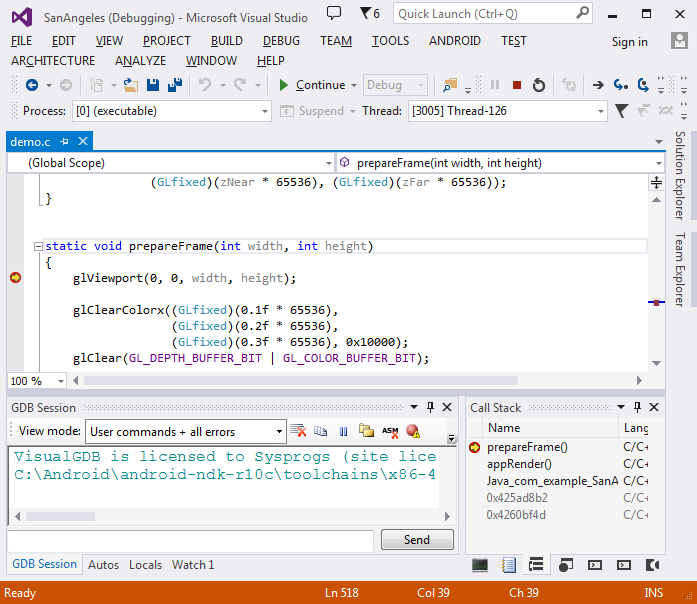 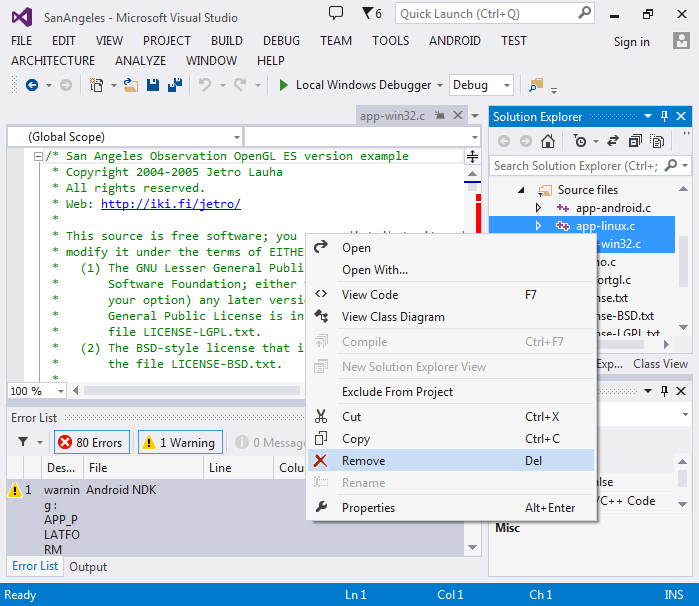 We will first setup a virtual machine, then install Android there and finally use Visual Studio to debug the San-Angeles sample on it. 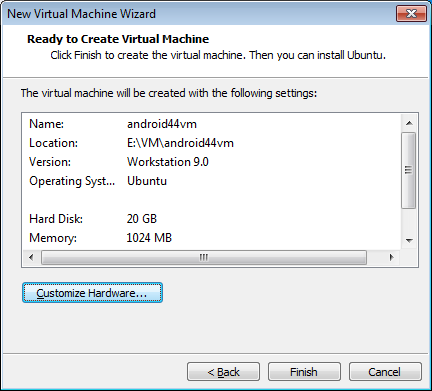 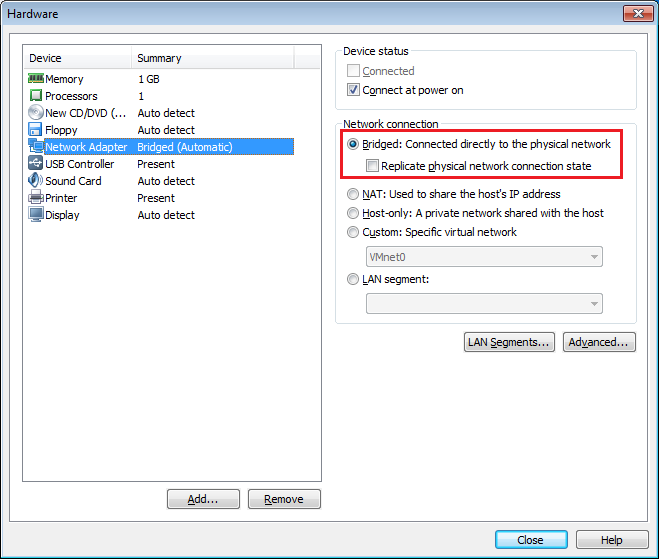 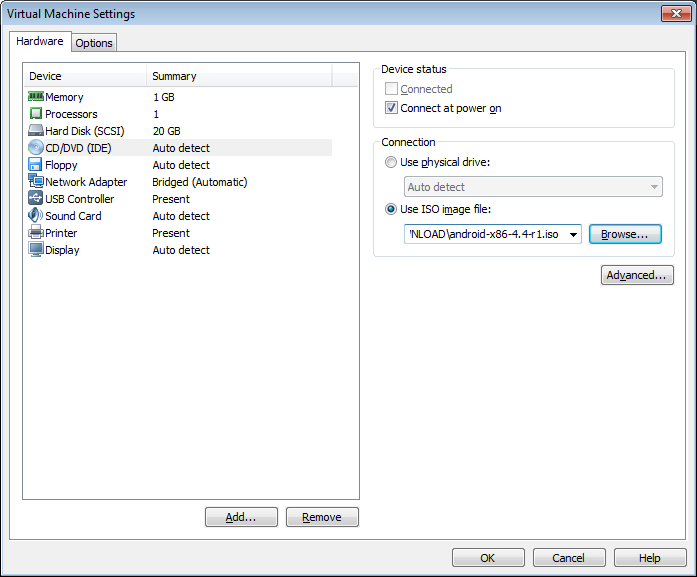 Using VMWare has an advantage of much faster simulation speed, however it will only simulate the x86 Android system, hence if you want to debug an ARM-specific problem, you will still need an actual device or the slow ARM emulator. 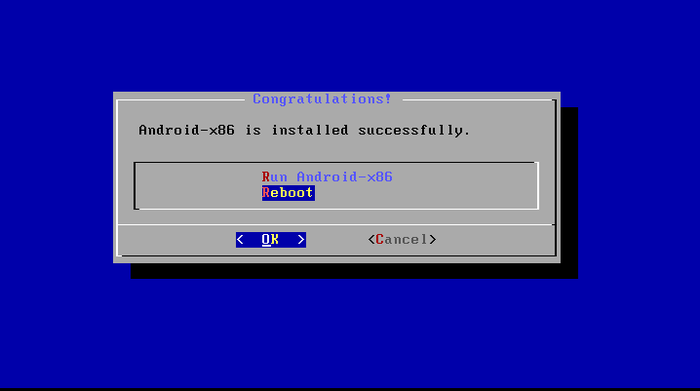 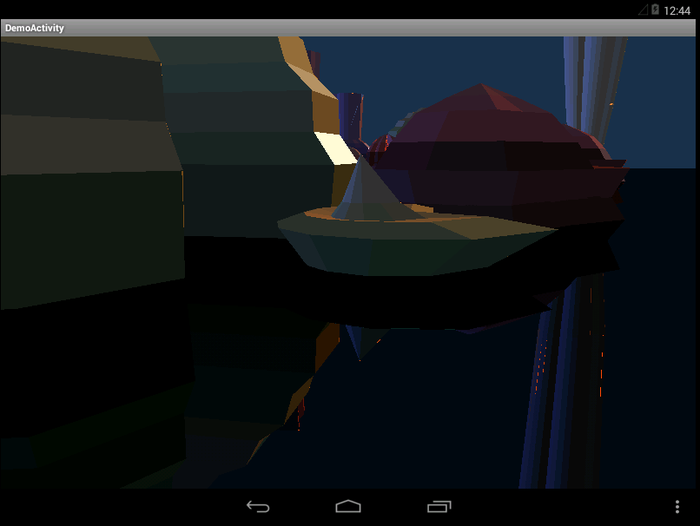 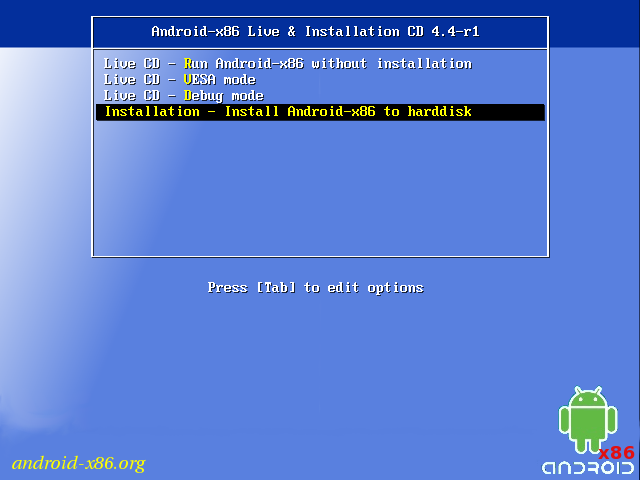 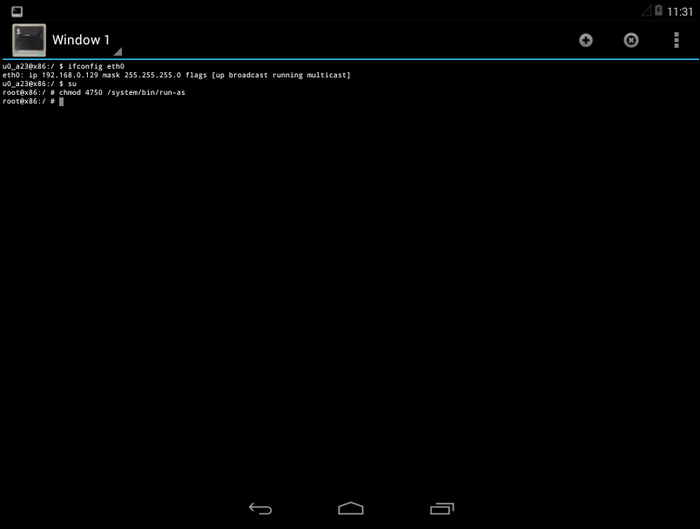 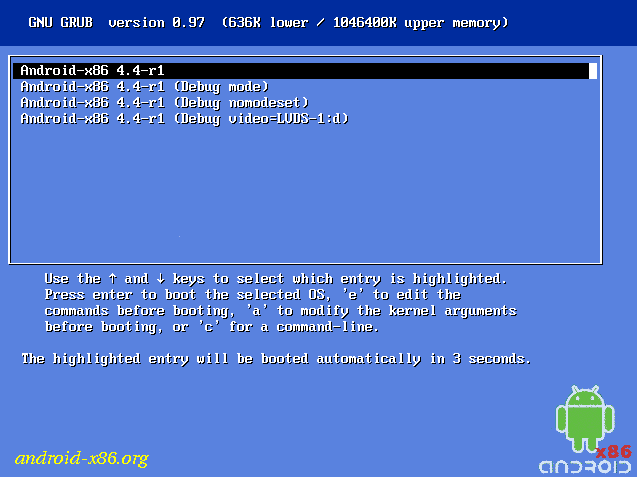 Before you begin, install VisualGDB and download an x86 Android image from android-x86.org, a project providing Android images compatible with moder PCs. 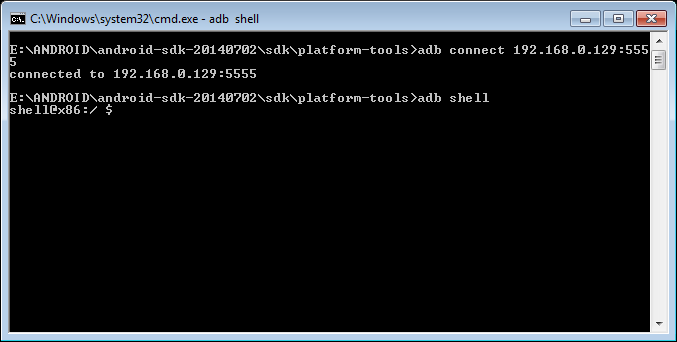 Verify that the shell opens successfully.